Since today is America’s Birthday and everyone deserves the day off so naturally the yoga studio I go to was closed. I could have still done yoga but today I wanted to be outside and just take a bike ride. So I got up, got dressed, brushed my teeth, laced up my shoes and got on my bike. I opened the garage and realized the fog was really think this morning, kind of earie but pretty at the same time. I didn’t really have a path or somewhere in mind. So I rode down some of the side streets in my neighborhood and made my way through the cemetery that lines the local lake. 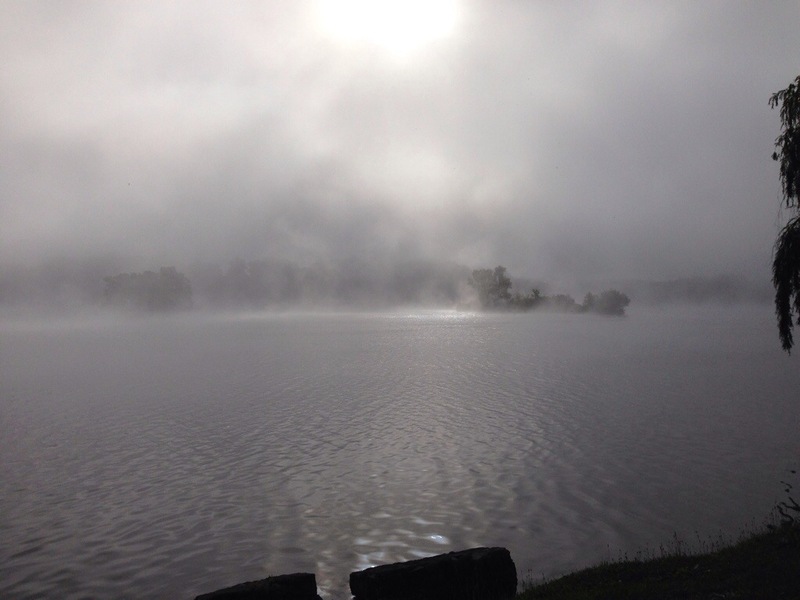 The fog was still thick, but I managed to capture a really cool picture from the cemetery overlooking the lake. So again I am hanging with my bestie on America’s birthday so naturally we had to do some prep so we could eat good healthy food while we’re out on the boat. Actually the bestie made most the food and I watched but oh well. We made homemade burgers for grilling (I should have taken a picture). We just took ground beef and added some spices and formed them in to patties. 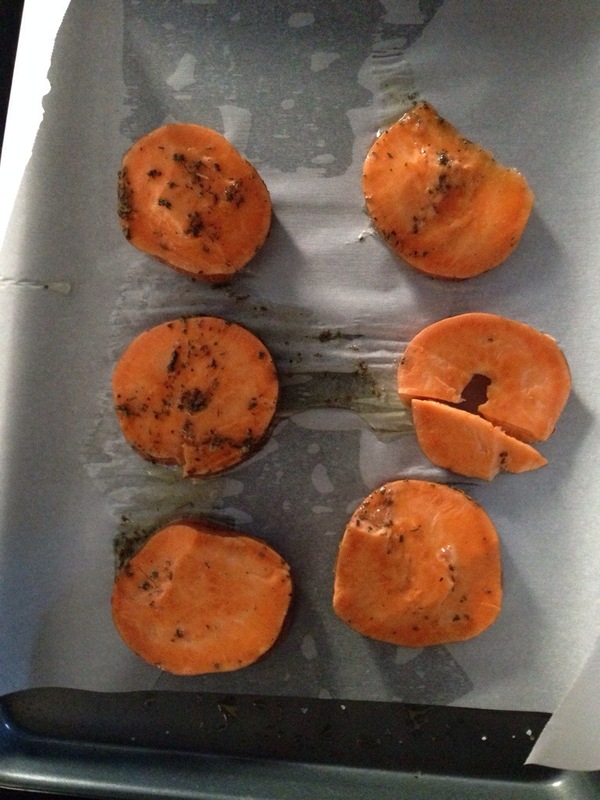 Then to change it up we made sweet potato buns (I added the link). 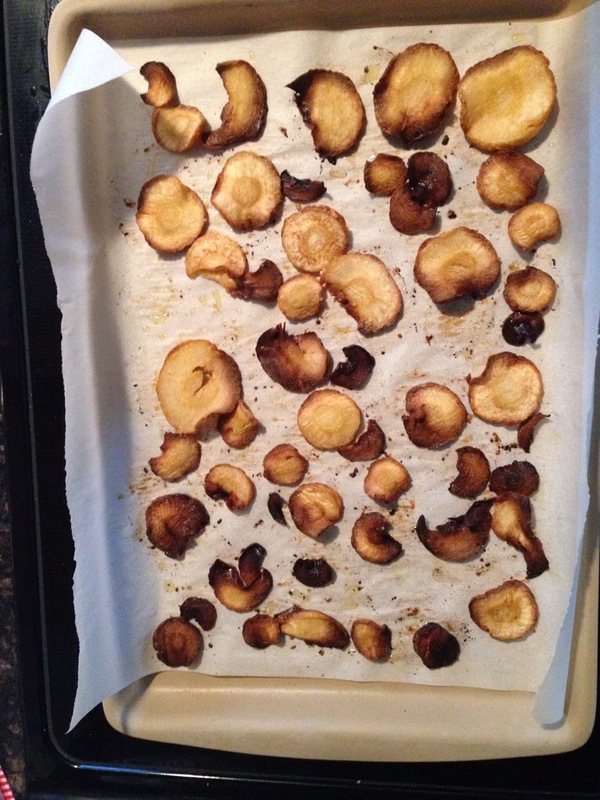 We also made some parsnip chips. Then I still need to make the kale salad from Day 1 – Meal 2 – it’s really good. So I know this is terrible and I shouldn’t have done this because it’s not complaint with Whole 30 but I didn’t eat dinner last night. I went and got my hair done then stopped over a friend’s house and stayed later than expected. I was not about to eat dinner at 11pm when I know I was just going to go to bed. Honestly this is not something that I do often but it happens. I should have had a Lara bar in my purse for these types of emergency’s.